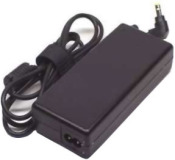 The best universal laptop AC Adapter on the market. Auto sensing tip for voltage and amperage selection. Status light indicates units is functioning properly. SHOULD THIS ADAPTER NOT WORK WITH YOU LAPTOP WE WILL HAPPILY REFUND YOUR MONEY.